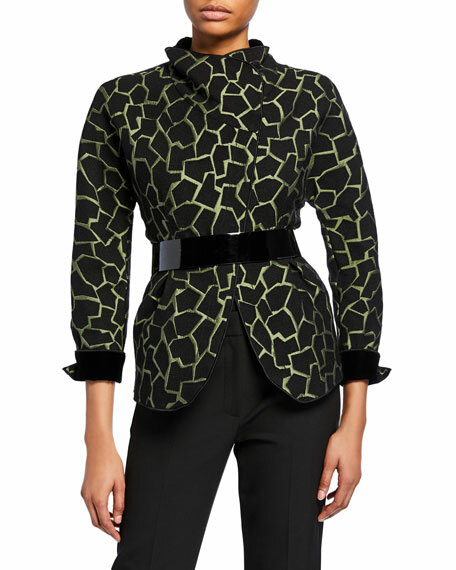 Emporio Armani jacket in giraffe-print jacquard. Long sleeves with turn-back cuffs. Please note: Belt, shown, is sold separately. 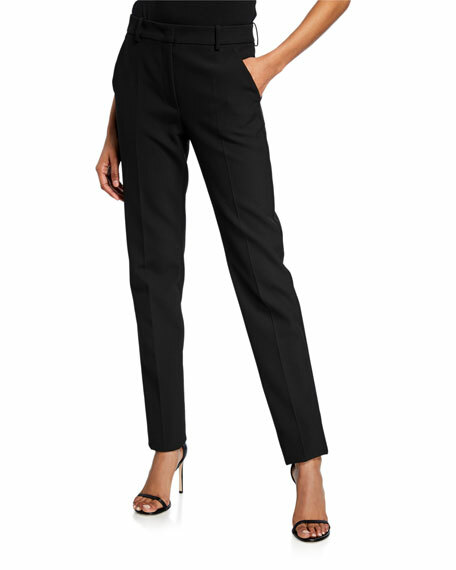 Emporio Armani pants in stretch cady.